In the last two-and-a-half years, the government has announced several reform measures that resulted in attracting healthy FDI. Mobile wallets and biometric modes of payments will replace debit and credit cards in the next three to four years, NITI Aayog CEO Amitabh Kant. "Physical banking in India is almost dead and it is adopting pervasive technologies with such an accelerated pace that in next three to four years, the digital transactions would move through mobile wallet and biometric modes completely replacing debit and credit cards," Kant said. In the last two-and-a-half years, the government has announced several reform measures that resulted in attracting healthy FDI, Kant said at an event organised by the PHD Chamber here. "Our foreign direct investment (FDI) has increased by 60 per cent in the last two years. But FDI across the world has declined by 16 per cent ... India's drive for opening up economy will continue unabated," he added. Kant said India believes in globalisation and it would continue to globalise and not talk about protectionism. "Despite the talks of Brexit, despite Donald Trump government talking of protectionist policies, we believe in globalisation." India is growing at over 7 per cent, but "our challenge is to grow at 9-10 per cent for the next three decades" to bring millions of people out of poverty, he said. Kant also highlighted that India has emerged as the country of low-cost engineering, and global players like Renault and Hyundai are manufacturing cars here and exporting to other parts of the world. 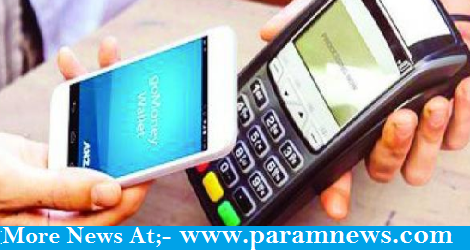 NITI Aayog CEO - E-payment to replace Debit/Credit cards in next few years In the last two-and-a-half years, the government has announced several reform measures that resulted in attracting healthy FDI. Mobile wallets and biometric modes of payments will replace debit and credit cards in the next three to four years, NITI Aayog CEO Amitabh Kant .